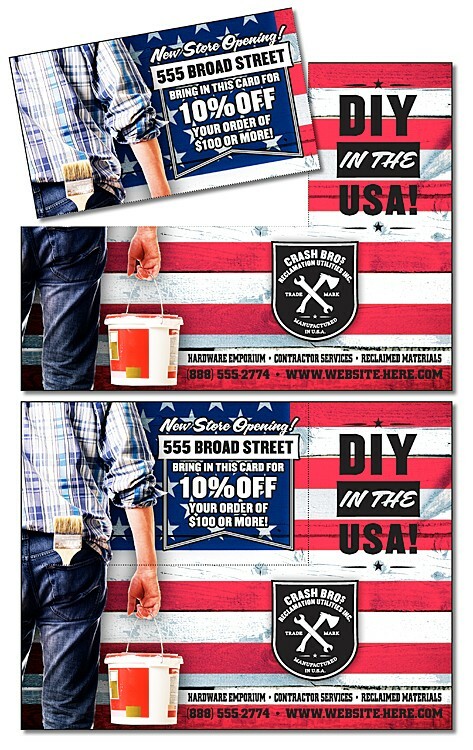 Sturdy laminated post cards are perfect for a highly visible, durable direct mail (or bulk mail) piece or a in-store handout on a tight budget, now with a perforated detachable 3.5 x 2 business card! POST OFFICE deems this piece non-automated and non-machineable. Please contact Mail Services Department for postage costs. 5.25 in. x 4 in.